The Opus Group (Opus), along with Central Bank of the Midwest and CTK Real Estate, officially began construction on a 256-unit mixed-use apartment community at Westport Road and Broadway Boulevard. Completion is targeted for spring 2020. The six-story project will feature 10,000 square feet of ground-level retail, two suites, and 254 apartment units in a variety of floor plans, ranging from junior studio to two-bedrooms. Standard luxury finishes include nine-foot ceilings, stone countertops, designer backsplash and lighting packages, vinyl plank flooring, stainless steel appliances, oversized windows, and in-unit washers and dryers. The project features a club room and roof-level terrace with views of Westport and the Country Club Plaza, as well as a larger, lower-level amenity terrace with pool, fire pits, lounge areas, grilling and dining capabilities and an adjacent club room. Additional amenities include fitness equipment with Fitness On Demand™, conference rooms, co-working vestibules, spa, dog wash station, secure bike storage and storage space for residents , as well as two levels of secure underground parking with direct access to residential floors. Opus Development Company, LLC is the developer, Opus Design Build, LLC is the design-builder and Opus AE Group, LLC is the interior designer, architect and structural engineer of record. Block Real Estate Services, LLC marked a construction milestone for its CityPlace Corporate Centre III office building with a traditional ‘topping out’ ceremony. 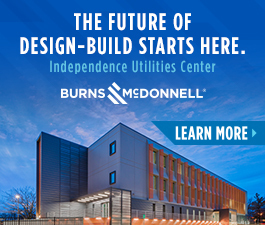 Anchored by Mediware Information Systems, Inc., the 120,268-square foot building is the first of four Class A office buildings planned for the mixed-use project located at the southwest corner of College Boulevard and Highway 69 in Overland Park. “We are honored that Mediware selected CityPlace as the home of its corporate headquarters, validating our premier mixed-use development designed for residents to live, work and play for years to come,” CityPlace Developer Ken Block said. Community members involved in the planning, development and construction of the property, signed the project’s final steel beam before it was hoisted and placed atop the building on August 13. Constructed by Titan Built, designed by Hoefer Wysocki Architects and developed by Block Development Company, the office building will include a blend of granite and precast panels andreflective glass in a modern design. Mediware, a leading supplier of software solutions that help health care and human services providers. will occupy floors three and four of the four-story building and has committed to a future lease term of 15 years and four months, beginning in June 2019. Once complete, CityPlace will feature up to 600,250 square feet of office space, 1,382 multifamily units, 140 senior units, and up to 60,000 square feet of retail space. For more information about CityPlace, visit www.cityplacekc.com. For more information about Block Real Estate Services, LLC, visit www.blockllc.com. Unity Village CEO Jim Blake shared a vision for a holistic health and fitness community with tiny homes and natural amenities on its sprawling campus near U.S. 50 and Colbern Road. Blake shared his vision with Lee’s Summit Economic Development Council leaders at a recent luncheon, adding that Unity would like to pursue collaborative public/private partnerships to build a convention center and resort. Although no official plans have been drafted, Blake envisions a healthy lifestyle community that is home to a first-of-its-kind holistic medical facility staffed by a renowned naturopathic physician. 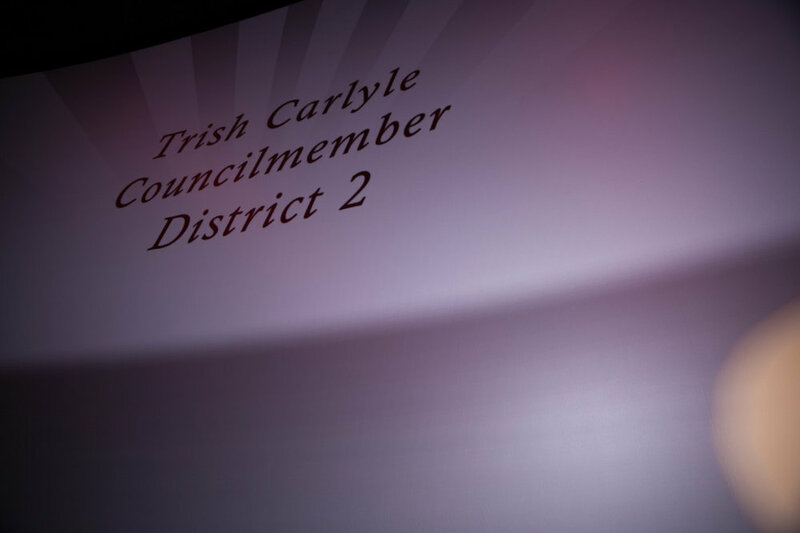 The community would offer summer youth programs that take advantage of miles of trails, stocked lakes, golf course and tennis courts as well as a new tiny home development. “Nature is built on collaboration. Ecosystems are built on collaboration. Survival is building upon how communities collaborate. We have the opportunity to collaborate and build something powerful in this community rather than build something separately,” Blake said. Any new development would complement existing facilities, which include an all-new golf clubhouse with food and beverage, 50-room LEED-certified hotel and conference center, banquet and dining hall, fitness center, 2.5 miles of walking trails, fleet of GPS-enabled bicycles, a community garden and apple barn, as well as Starbuck’s on-campus coffee shop. Blake’s vision is purely conceptual at this point. However, commercial development already is taking shape on campus and in the Summit Village development just south across Colbern Road at I-470 and 50 Highway. A new public road has been extended off the recently constructed Blue Parkway, and Summit Eye Center has completed construction on the first phase of its new medical office building. At buildout, phase one of Summit Village will accommodate up to 500,000-square feet of office, medical office, hotel and other commercial users requiring between 5,000 to 50,000 square feet, according to Michael VanBuskirk, principal of Newmark Grubb Zimmer, which is handling development of the project on behalf of Unity Realty. Preliminary approval is in place for an already constructed pad site adjacent to Summit Eye Center that will accommodate a 20,000-square foot building. In addition, nearby sites are available for sale or build-to-suit opportunities. Phases two and three of Summit Village include an additional 175 acres to accommodate over 1.5 million square feet of various mixed-use development for a potential major headquarters site or rail-served flex industrial park. Meanwhile, on-campus leasing activity is robust, with multiple spaces available. Current tenants include Almeda Labs, Healthcare Solutions Team, JSC Engineering, Transit Pros, Gardens at Unity Village, Unity Village Chapel, as well as Unity Worldwide ministries. “We started rolling out on-campus leasing about a year ago, and right now there is 30,000 square feet of third-party tenants already occupying space,” VanBuskirk said. 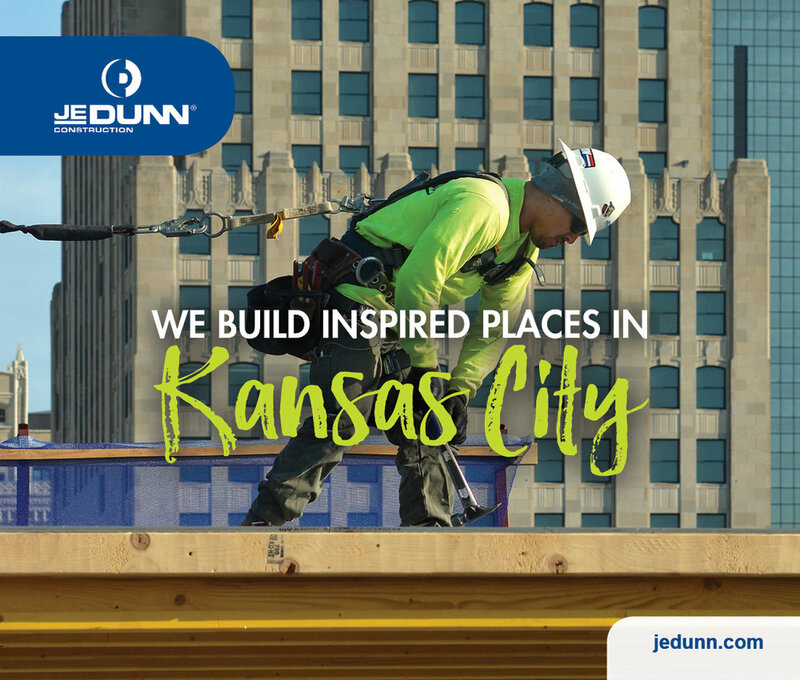 Construction has hit the midway point for the multifamily portion of The District at City Center, a mixed-use project that adds luxury apartments, retail and office space to the Lenexa City Center development area at 87th Street Parkway and Renner Boulevard. The multifamily portion of The District includes 175 units and serves as the region’s first suburban apartment-over-retail project constructed of cold-formed steel. General Contractor Haren Laughlin Construction (HLC) is touting the benefits of the product, which uses prefabricated steel studs to shorten construction times and eliminate on-site labor while improving fire safety during construction and throughout the life of the building. “The owners wanted to build something that they could sustain for longer than what a wood structure is going to give you, so they brought us to the table and we put together a proposal and really dove into what it was going to take - the parts and pieces - to get this built,” said Matt Fisher, pre-construction manager for HLC. 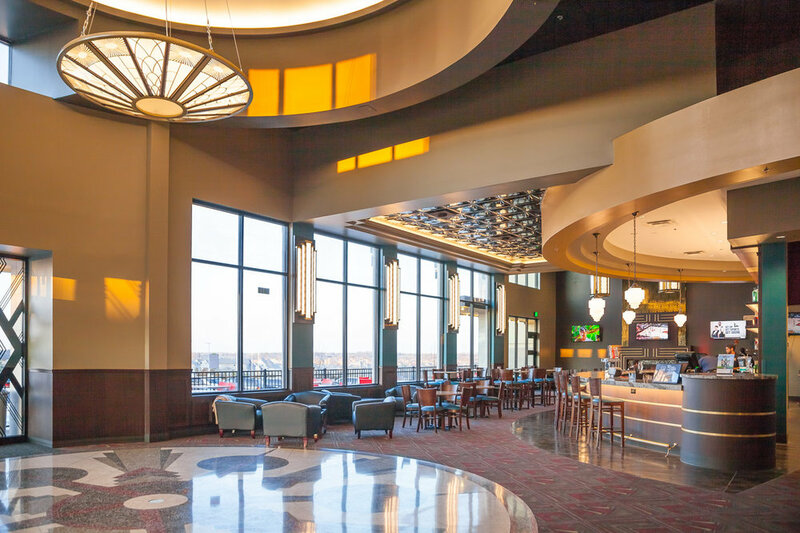 HLC, along with design partner Klover Architects, met with potential subcontractors and chose Dahmer Contracting Group led by Dusty Dahmer because its bid was the most competitive and cost efficient. By using an "off-the-shelf" metal stud system, Dahmer said his team was able to tighten the margins so the project made financial sense for co-developers Copaken Brooks and EPC Real Estate Group. “The difference between wood and metal framing used to be a bigger spread, and the market’s gotten so much more efficient, so now the difference is a lot smaller,” Dahmer said. “There was a steep learning curve at the beginning of the project, but now we are cruising." Reuben Hamman, HLC project manager, said steel framing makes for a safer and cleaner construction site. Because cold-formed steel is still more expensive than wood, it isn’t likely to overtake traditional wood framing, but HLC Vice President Jeff Wasinger believes there’s plenty of potential for growth in higher-end multifamily construction. In additional to luxury residential apartments, The District adds 45,000 square feet of office and 35,000 square feet of retail space to the existing 800,000-square feet of developed space at Lenexa City Center. The full project team includes EPC Real Estate Group and Copaken Brooks, co-developers; Klover Architects, architect; Studio A Architecture, residential consultant; BSE, structural engineer; Latimer Sommers & Associates, mechanical design; Phelps Engineering, civil engineer- private; and GBA Architects + Engineers, civil engineering- public. John Coe and Ryan Biery of Copaken Brooks are handling the leasing for the District. 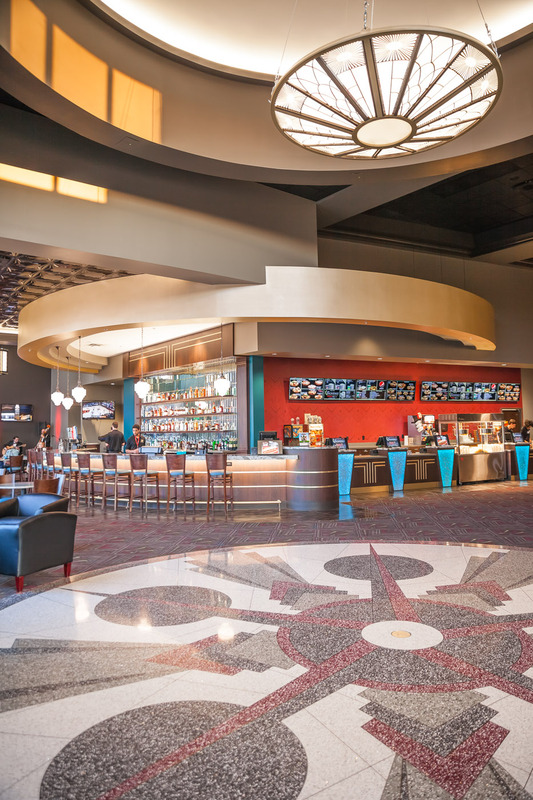 B&B Theatres debuted its new seven-screen boutique theater in New Longview in March, the chain’s first metro-area ground-up project in six years. 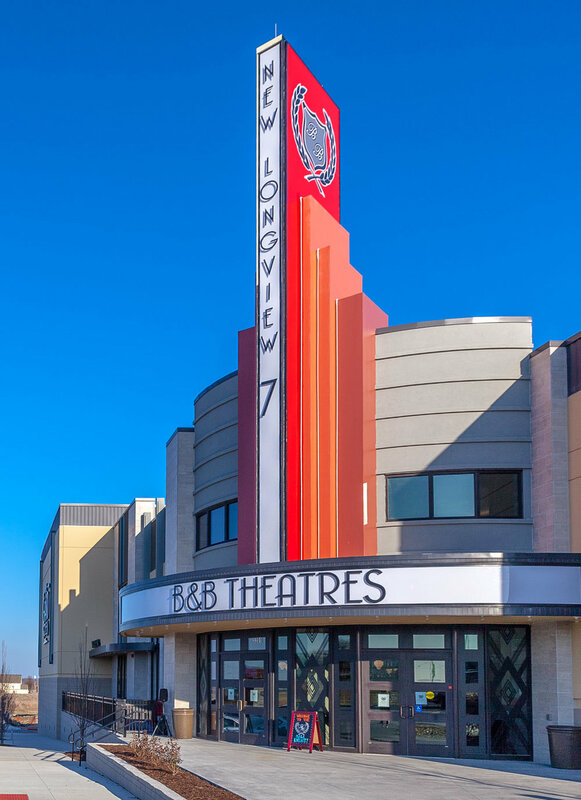 New Longview 7’s Grand Screen is the first theater in the world to feature a dive lighting system with individual lights corresponding with each speaker, offering moviegoers an immersive, “rock-the-seats experience,” according to Brock Bagby, B&B Theatres executive vice president. “Those lights can be changed and can do whatever we want them to. We can have every single one a different color, so let’s say we are watching Finding Dory, then we can change the entire room to look like an ocean. 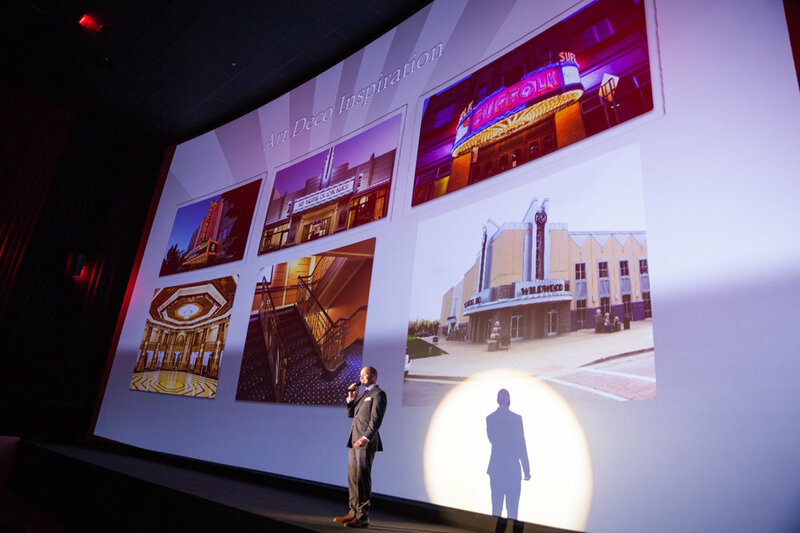 This is the very first theater in the world to have this, right here in Lee’s Summit, Missouri,” Bagby said. 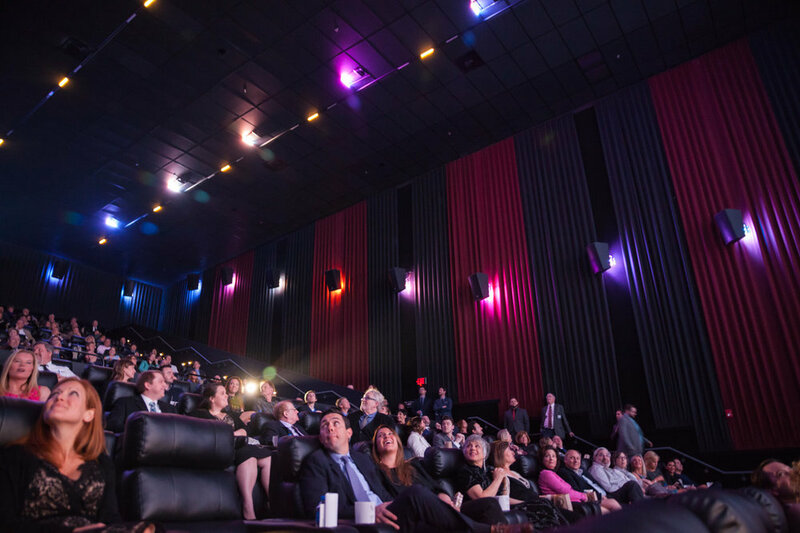 The Grand Screen is six stories wide and four stories tall, making it one of the largest screens in the nation coupled with DTS immersive surround sound. 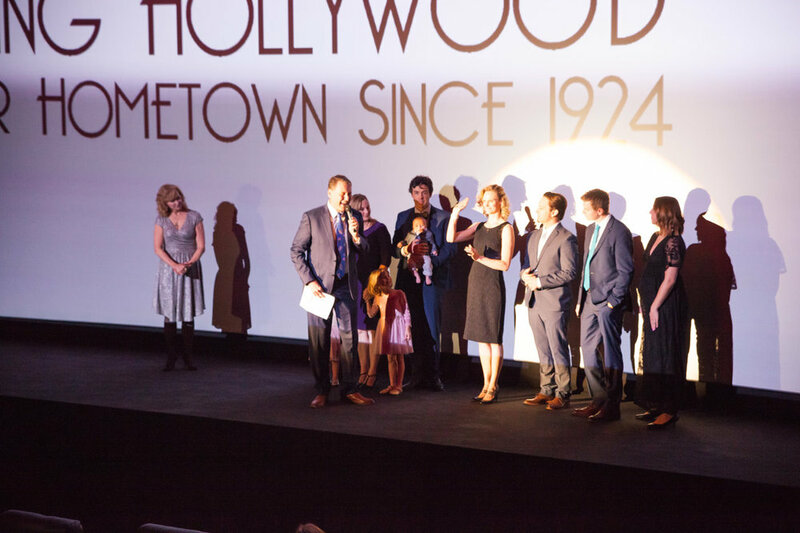 “You’ve got the biggest industry subs behind the screen, so it’s gonna shake your chairs. 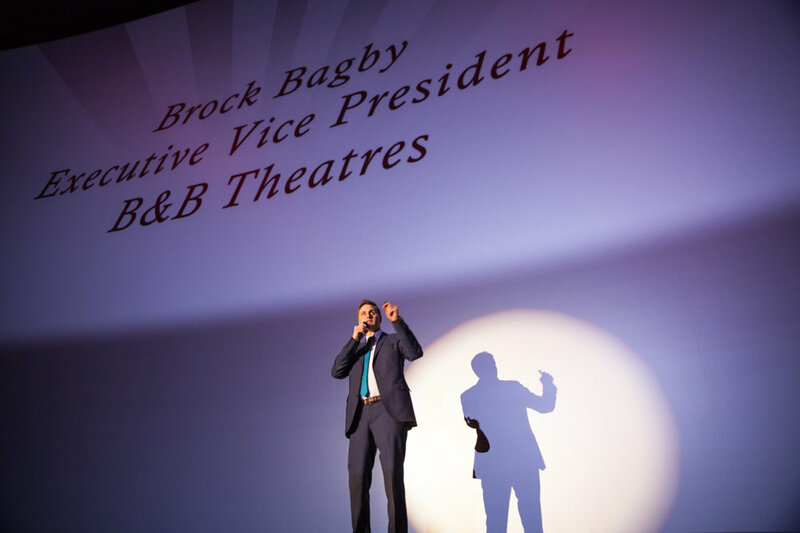 It’s an amazing experience,” Bagby told attendees at the theater's Opening Gala on March 21. 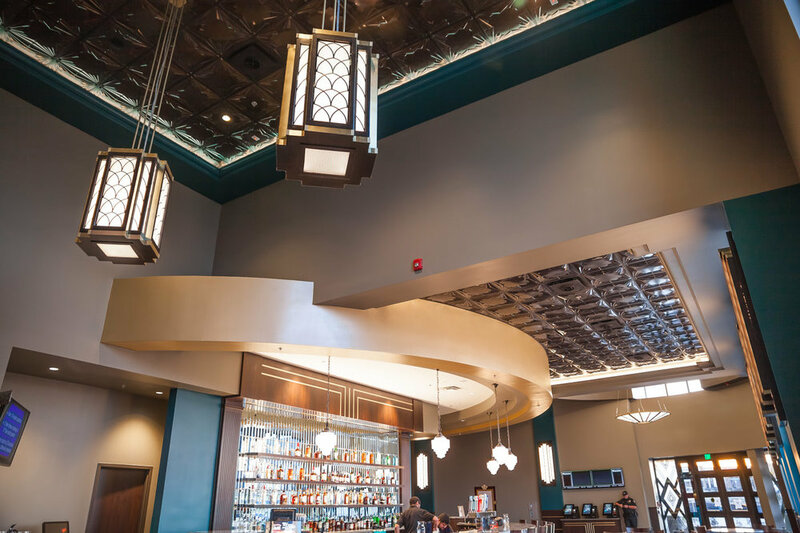 Guests are greeted by an Art Deco-themed lounge and bar area complete with a 35-foot long bar, clusters of comfy chairs, outdoor seating area, and fireplace nook with sofas. 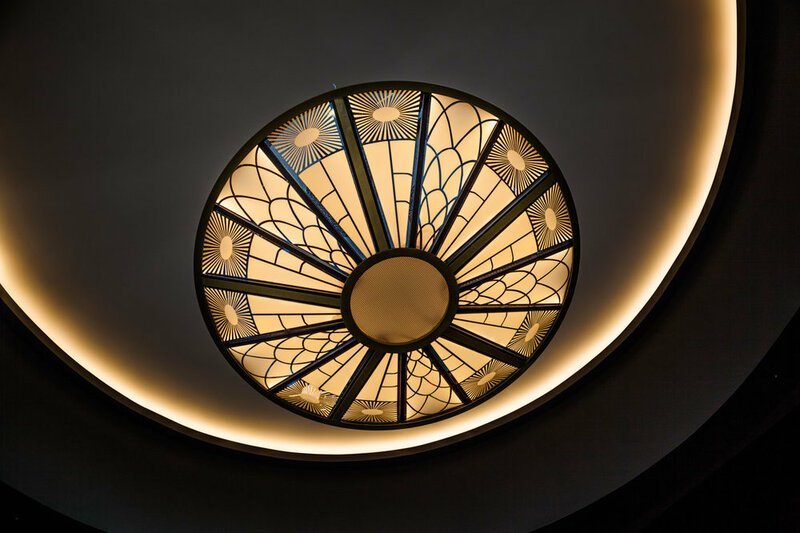 Developer Russell Pearson with Box Real Estate Development said designers drew inspiration from Art Deco projects around the country, a theme that plays out with starburst designs incorporated into the flooring and custom lighting fixtures. The opening of the 28,000-square foot complex comes just two months after B&B completed a multi-million dollar upgrade of Lee’s Summit 16 on Northeast Douglas Street. 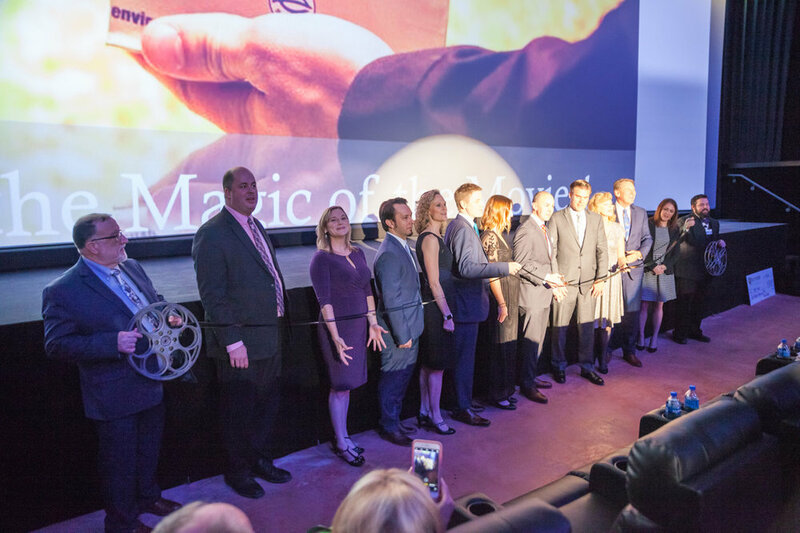 The project included extensive remodeling, the addition of a new MX4D concept and screenPLAY, an auditorium dedicated to families and young children that includes a playground. 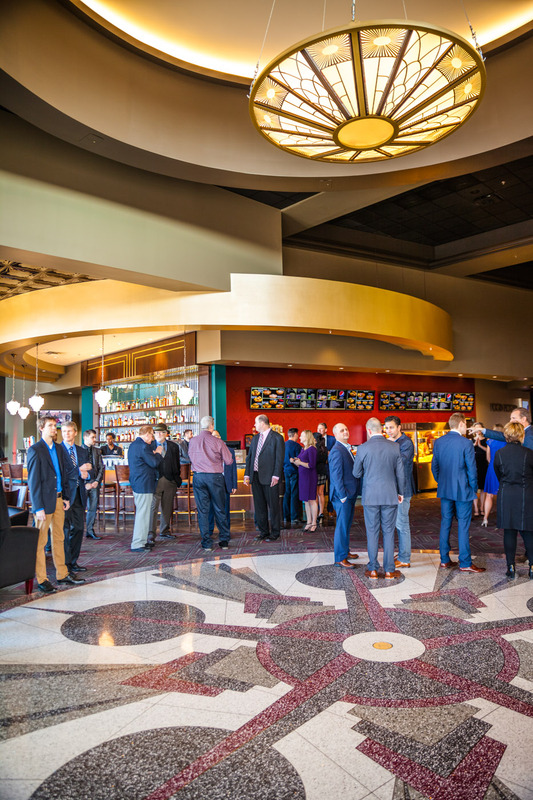 Check out a slideshow from B&B Theatres' Opening Gala below; click on the photo to advance.